Last night I slipped fully into the Christmas spirit. Mum, Dad, “The Fella” and I went to the launch of Longleat’s Festival of Light; a Christmas time celebration of all things sparkly. Held at one of Britain(actually it’s pretty safe to say World)’s most beautiful homes; Longleat. We arrived just before sunset, spying the first glimpse of the Festival as we rolled down into the valley. Once you’ve abandoned your chariot, you walk through the silk lantern walkway. Flanked on either side by glorious creations, which come to life in the darkness. Inside we joined our hosts, Emma and Ceawlin for drinks and nibbles beneath the Christmas tree. The house itself is well worth a trip for anyone with littles. 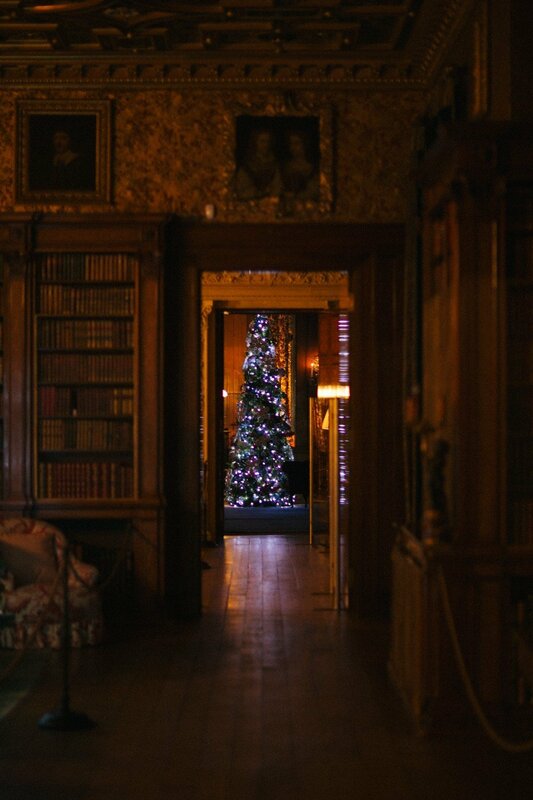 Every season the stories through each room change, Halloween is done and dusted… now things are very, very Christmassy. Once the darkness had engulfed the house, we made our way outside. Two gliders took to the sky, firing fireworks from their wings! We each grabbed a fresh glass of bubbles, ready for the speeches. Transporting everyone into a glowing wonderland, ready to be explored. One world leads into another. We went from China to a garden of poppies and peonies, as tall as buildings. …and onto more traditional sights. Through a garden of creatures. A dragon boat floated on the river and sharks circled as we gazed on in amazement. In front of the house you’ll find an African scene, right out of The Lion King. And then you loop back into Asia again. I haven’t shown you everything, as I don’t want to spoil it if you do go. It really is utterly, utterly magical. We left through the drawn curtains, with the lanterns swaying in the storm overhead. You have until Jan 3rd to experience it for yourself. Book tickets online, spend the day in the safari park and the night under the lights.